Who’s joining us for a cappuccino? 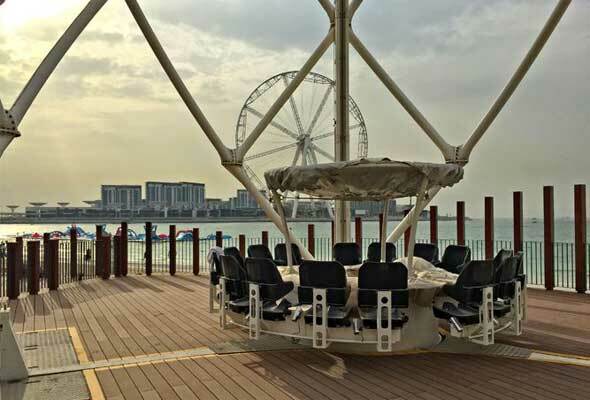 Dubai is already home to open-air dining experience, Dinner in the Sky, but now there’s a new al fresco, sky-high experience to check out on JBR. 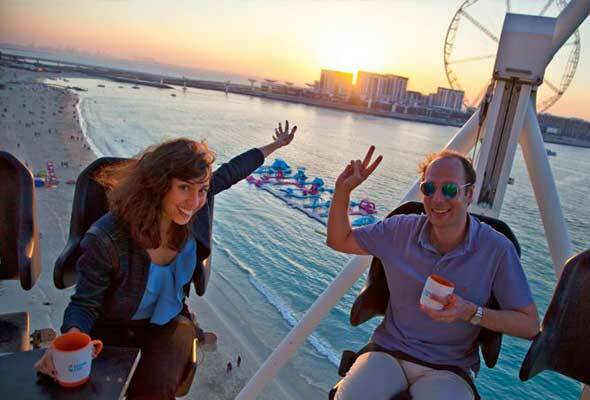 Called the Flying Cup, this pop-up cafe invites guests to enjoy a drink of their choice while hoisted forty metres above the ground. Tickets cost Dhs80 for an adult and Dhs40 for children aged 4 to 12, with the price including a soft drink of your choice. Well, there’s no need to pre-book your time slot if you buy your ticket online either, just choose your day and rock up when you feel like it. Then you’re buckled in to one of the 16 seats at the round table, and slowly hoisted into the air to forty metres high. The 15 to 20 minute experience runs from 10am in the morning, and goes on until midnight through the week and 1am on weekends, so whether it’s a morning coffee, sundowner or nightcap, you can enjoy the views from the Flying Cup all through the day. And views are certainly something you’ll get from this prime JBR location. As well as looking down both sides of JBR beach, guests can get some pretty epic views of Ain Dubai and out towards The Palm, too.